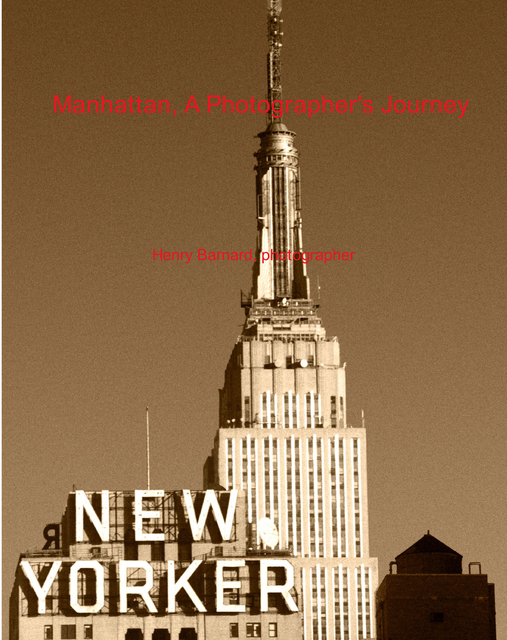 The book is a labor of love using images that I collected over a 27 year period living in that wonderful place called Manhattan. There are probably as many Manhattans are they are residents. This book represents my Manhattan. As to the photographs, I'm fond of the quotation by Horace: "A picture is a poem without words." Versión ebook de composición fija, 240 págs. An artistic photographer on an internal journey through the external world, as we all are. A resident of Manhattan for 27 years. Trained at the International Center of Photography (ICP). Former member of the Camera Club of New York and the Salmagundi Club. The standard for the photographs the same as Diaghilev's command to his dancers: "Etonnez-moi."